Hourglass is one of the brands that I reach out to almost daily, either it is their blush or it is their powder, they are one of my favorite formulas. Hourglass came out with two new limited edition palettes this holiday season. I know I am late but I ordered them from Sephora last week and posted my haul picture on the Instagram and asked for which product you want me to review first. 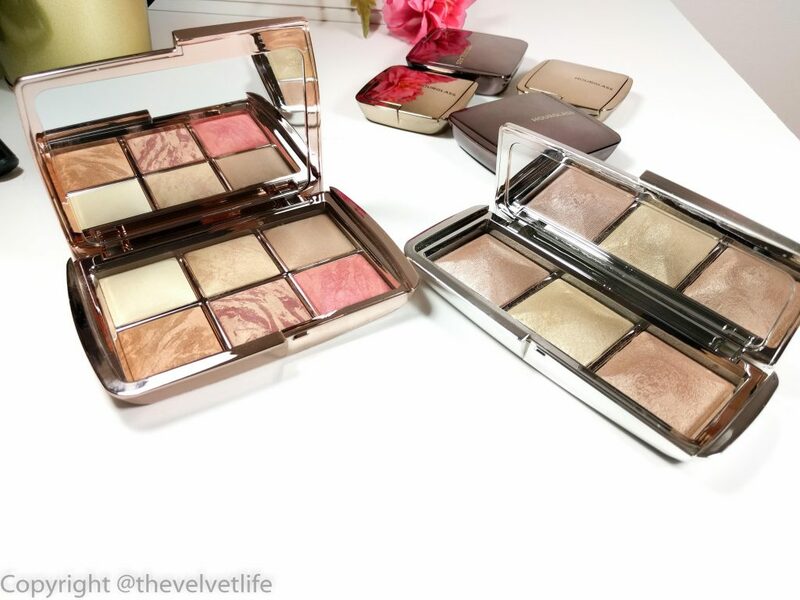 The hourglass palettes were the most asked for, so here I am with the review and swatches of both the palettes, Hourglass Ambient Lighting Edit Volume 3 and Hourglass Ambient Metallic Strobe Lighting Palette. 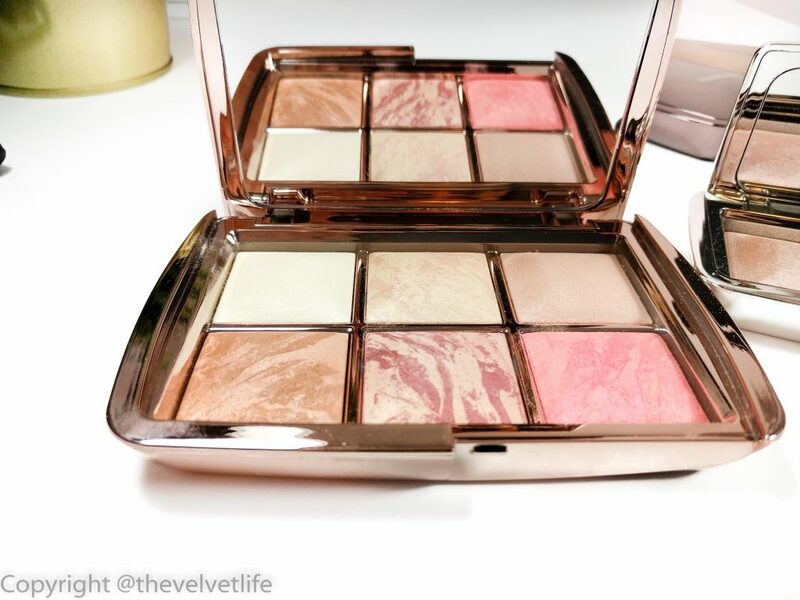 Hourglass Ambient Lighting Edit Volume 3 Palette (CAD $95) features three best selling powders and three new exclusive powders for a flawless complexion. The palette is travel-friendly and can be used for day or night look with the six shades in this palette. The packaging is limited edition rose gold case which looks very luxurious and the size is perfect for travel as well as looks great on the vanity. The three best selling powders included in this palette are Ambient lighting powder in Dim Light, Ambient Lighting Powder in Diffused Light and Ambient Lighting Bronzer in Luminous Bronze Light. The new powders are Ambient Lighting Blush in Surreal Halo, Ambient Lighting Blush in Pure Effect and Ambient Strobe Lighting Powder in Hypnotic Strobe Light. The powders are formulated with Photoluminescent Technology which captures, diffuses, and softens the surrounding light for skin which makes the skin look softer, younger, and lit from within. 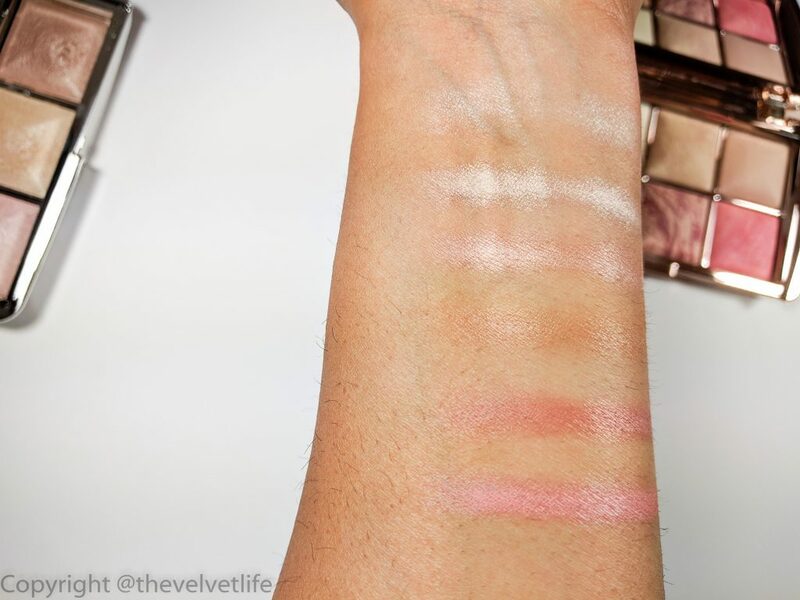 Looking at the shades of powders in this palette, it is an amazing option for day to night looks to finish, brighten, contour, and highlight the skin in a single compact. I already have a full size of Dim Light and Diffused Light. I reach for Dim Light as a finishing powder on most of the days and Diffused Light comes into picture during the evenings as a setting powder for me. The powders are finely milled, blends seamlessly into the skin and never look chalky or extra. The staying power is really good, I do not need to do touch-ups and they keep everything on the face intact. Luminous Bronze Light is supposed to contour hollows of the cheeks, and forehead. The shade is a bit lighter for me to be used as a bronzer but it does work well to give that sunlit glow to the face. It always works nicely on my medium tan skin tone as a blush. 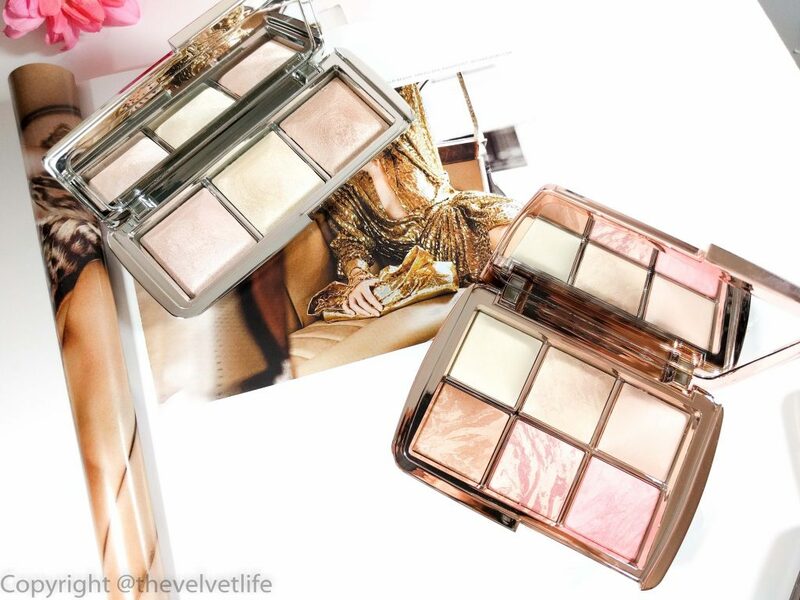 The new Ambient Lighting blushes are to be used on the apples of the cheeks with that natural glow. Ambient Lighting Powder in Hypnotic Strobe Light works great as a highlight on the high points of the cheeks, bridge of the nose, cupid’s bow and bridge of the nose. It can also be used wet to get the more intense effect. The texture of all the powders in the palette is smooth and very soft. As mentioned before, the quality is amazing as the full-size products I own from Hourglass. They give a very natural glow, the lit-from-within kind of glow. It does not emphasize my pores or imperfections. 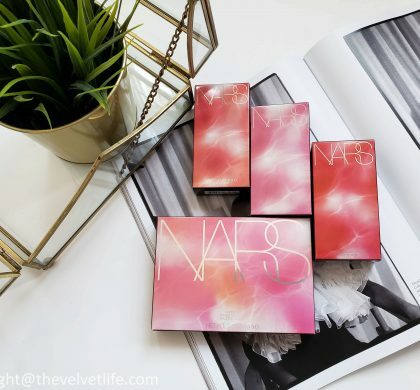 The staying power is good, so, all in all, a very good option if you have not tried anything from the brand or if you are looking for a compact version of Hourglass powders to keep in your bag or for travel. 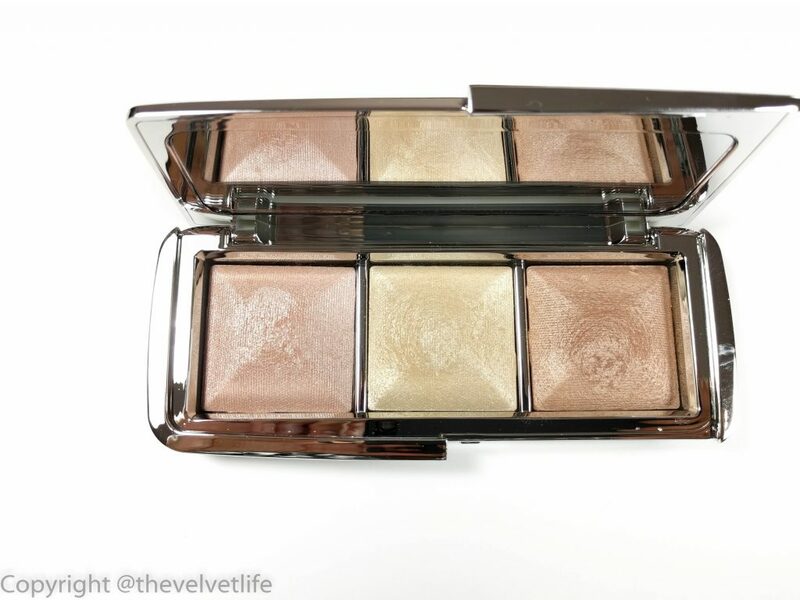 Hourglass Ambient Metallic Strobe Lighting Palette (CAD $75) is a limited edition palette with metallic strobing lighting powders which provide the brightest highlight to the skin. The texture of the powders is very smooth and velvety. The formula is highly concentrated and great for high points of the face to give a reflective, vibrant glow based on the skin tone and needs. 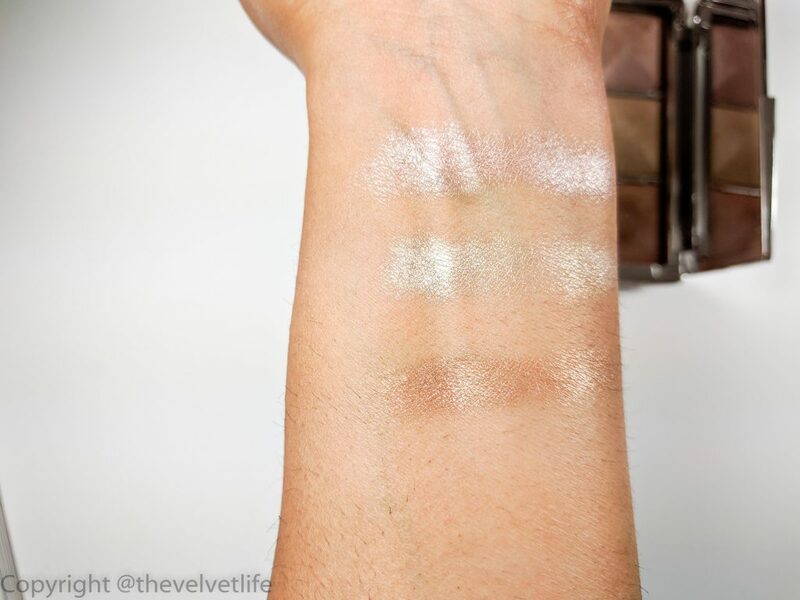 The shades included in this palette are Ambient Metallic Strobe Lighting Powder in Absolute Strobe Light, Pure Strobe Light, and Lucent Strobe Light. 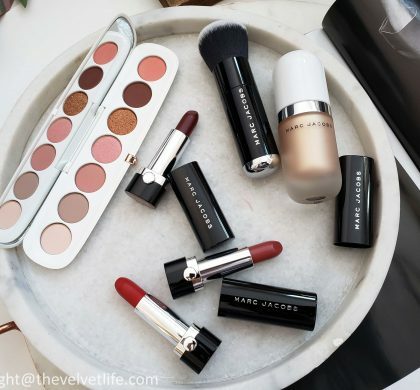 I have used these with my fingertips as well as highlighting brush to apply it on the high points of my face including top of cheekbones, bridge of the nose, and cupid’s bow. For a more subtle effect, subtle here means a little less intense as these are all highly concentrated, I use the sponge. As with the other powders from Hourglass, the formula is very smooth and velvety, blends in very easily, and quite pigmented. I know this will not be something that I will reach out to every day or every other day but I am surely going to reach this for the parties, especially the Indian parties where I need something this intense to match all those Indian dresses and their details. 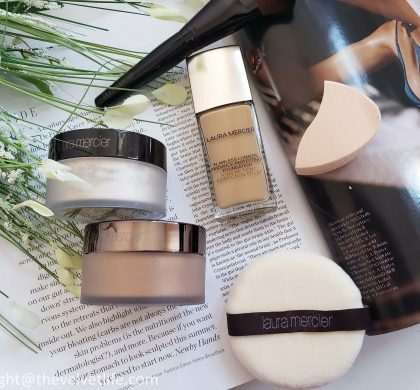 The Modern Mercury from Estee Lauder and Victoria Beckham collaboration is also one of my favorite highlighter which I reviewed here if you are interested. 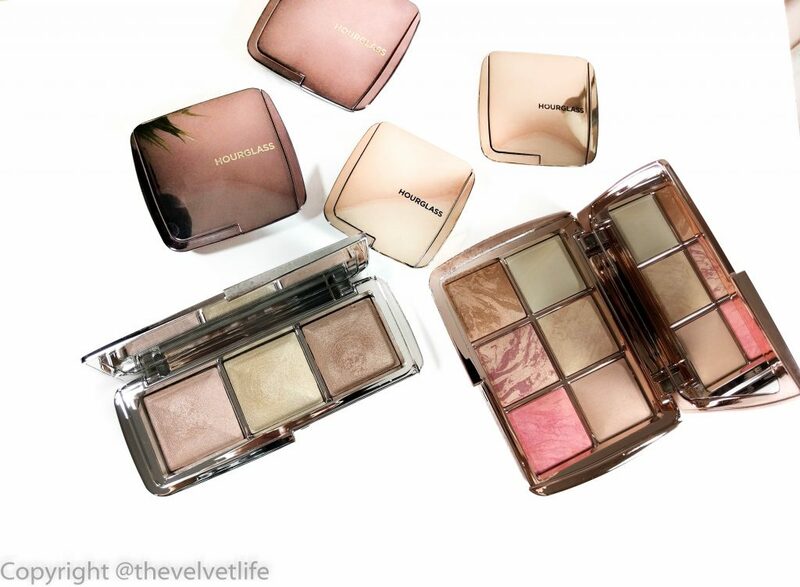 Hourglass Ambient Lighting Edit Volume 3 and Hourglass Ambient Metallic Strobe Lighting Palette are available at Sephora Canada.